Alright, so due to my own limited schedule due to a wedding and honeymoon, and a preliminary survey of dates available, I believe we have only one date available, and it is going to make things a little bit tough. That is 8:00 pm Central. 7:00 pm Mountain. 6:00 pm Pacific. When you enter the chat, use the "Channel:" drop-down at the top of the window to go to the "D2_Fantasy_Football" section. Please test that this chat works on your laptop/computer/cell phone before the draft date/time. I beg you! I do not know if the chat room works on mobile devices. I would suggest using a laptop or computer anyway, as you'll want to be able to utilize the cheat sheets I'll be posting and that is tough to do on a phone. If, for some reason, you can not make the specified draft date and time above, please let me know as soon as possible. I'll either need to find a replacement, or we can try and find some wiggle room somewhere. Although there really isn't much. As you might notice, our draft date is the day before the season starts. With that said, it would be good to get everyone's lineups in later that night, or before games start on Thursday. However, due to the circumstances, if you do not have a player who is participating in Thursday's games, you can have until the first game begins on Saturday to submit your lineup. 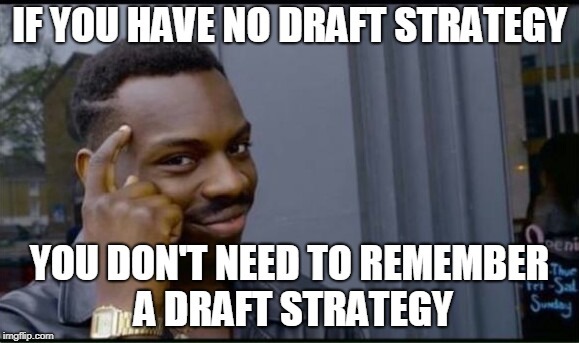 Just be prepared to turn things around quickly after the draft! Sounds good Kyle. Thanks for putting this on again this year. Hope everyone is getting excited! So you are telling me I have to have all of my draft strategies with me? LMFAO. I always seem to pick in the middle. And that should be what you need to participate in our draft as efficiently as possible!